I drove about an hour and half outside of Pittsburgh to see some nature and a Frank Lloyd Wright house, Kentuck Knob. 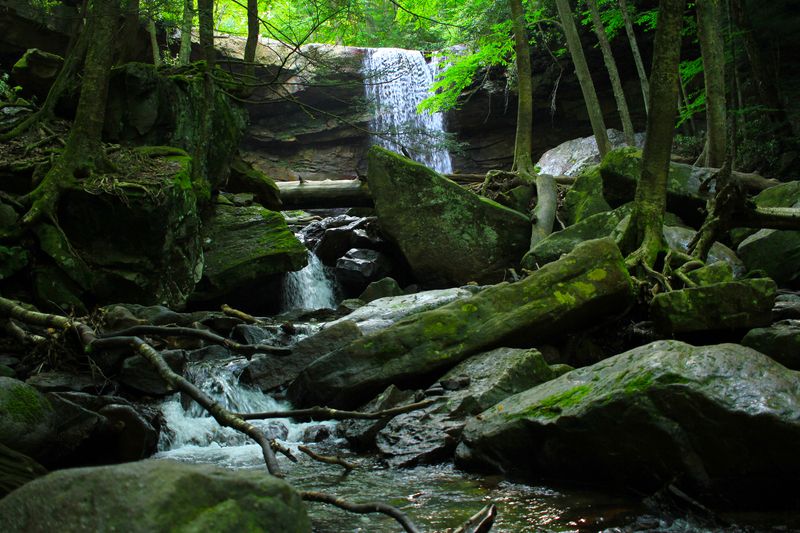 After walking around a really cool house, I decided to pull over and check out Cucumber Falls. I was not disappointed by the experience. A easy hike from the parking lot takes you by the waterfall and all the way to the Youghiogheny River. The Ohiopyle State Park offers so many fun outside activities ranging from hiking, white water rafting, mountain biking, and everything in between. The Youghiogheny River runs through the middle of the park with tons of great fishing spots. Worth your while to get out of the city for a day and go see this state park.